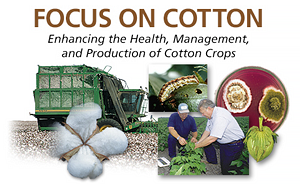 The Cotton Info App is a collection of reference materials gear towards growers, consultants and extension workers. The app is especially designed for those who may not have good cellular connectivity, so all of the materials are stored on the tablet (note this app is optimized for use on the iPad, not phones). And Android version is also available. Information on weed management, irrigation, nitrogen, and harvest are examples of topics covered.